As if $42,000 a pop cancer treatments weren’t enough! Many people elect to change their diet preferences to include more healthy and organic options. This almost always translates to a higher bottom line for the not so savvy shopper. 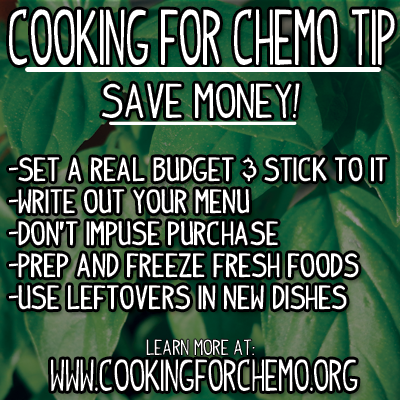 Cancer and chemotherapy treatments are expensive! So when you first start seriously cooking at home, one of the hardest things to avoid is spending too much money on food. Here are a few great ways to minimize your food expense while maximizing impact. 1) Set a monetary food budget and stick to it. This is probably the hardest aspect of staying on target with your money. But, it’s amazing how if you work inside your food budget, how your meals will change in quality and character very quickly. Setting a food budget helps you control your food cost and forces you to learn how much each item costs. This makes it easier to make budget minded decisions while making your menu. The best way to help you stick to your budget is to keep track of how much you are spending while you are shopping. This will help keep you accountable and help you to learn how much your food actually costs. 2) Plan a menu for the week. When you plan a menu, not only do you have a road map of what you are going to create but it allows you to cook similarly themed food items which reduces the need to purchase a lot of unique ingredients. For example: Let’s say you have a recipe that requires carrots, onions, and celery. This mixture, typically known as mirepoix, forms the backbone of almost every classic western culinary recipe. Just by using the mirepoix mixture, we can make recipes like soup, pot roast, and Shepard’s pie. The variations are endless. Carrots, onions, and celery are also budget friendly, last a long time in the refrigerator, and are full of healthy fiber. So as you can see, using similarly themed ingredients can help you save money on a budget. One of the biggest expenses you will run into when buying food at the grocery store is the impulse purchase. I myself am extremely guilty of perusing the cheese area and selecting a few things that topple the food budget right over. That’s why I always send my wife with the exact list of what I need because she won’t come back with extra things. Another thing that will make you impulse on food at the grocery store is if you go shopping when you are hungry. Don’t buy food when you are hungry. Eat first, then shop! 4) Prep and freeze perishable food items. Aside from impulse purchasing, food waste is the biggest way to blow your grocery budget! If you are throwing away $20 worth of food every week, that’s $20 of loss on your grocery budget that could have been better spent in other categories of your life. What I recommend doing (which we do in our home) is taking perishable food items like fresh veggies, pre-slicing them, placing them into freezer bags and simply freezing them for later use. 5) Use your leftovers to make other recipes. A great thing about leftovers is that you can turn them into other recipes. For example: Pot roast can be made into beef stew. Roasted chicken breast can be turned into chicken noodle soup. I like to play a game that I call “The Leftovers Game.” This is where I try to re-create a recipe of some kind while incorporating leftovers from a completely different recipe. The trick to this is proper seasoning and of course incorporating new and fresh food ingredients as well. 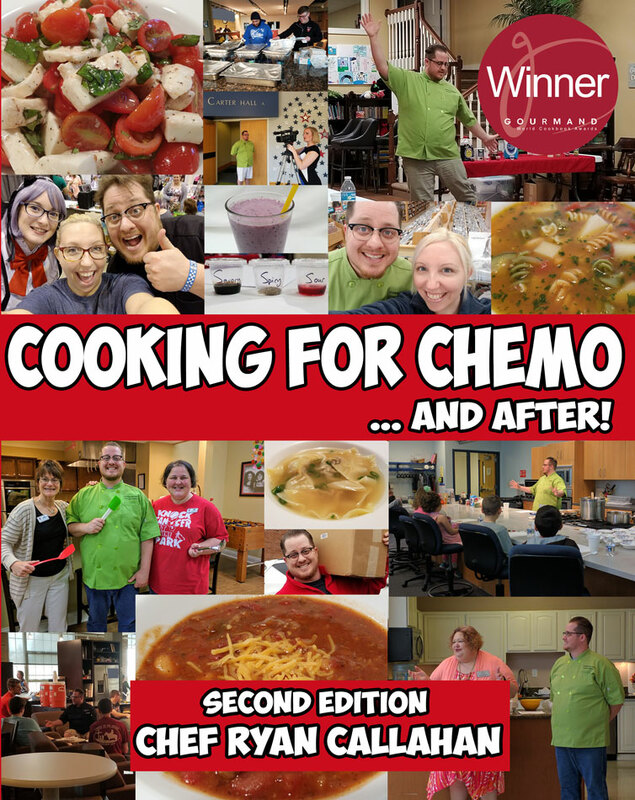 You can purchase my cookbook, Cooking for Chemo …and After! by going to Amazon or Barnes and Noble.